Active ingredients: Check the active ingredients in the numbing cream before you think of buying it. You should go for a numbing cream that will have a stronger numbing effect so that you will feel less pain when being waxed. Professional advice: Before buying a numbing cream, seek your aesthetician’s opinion. She is in a better place to know the most effective numbing cream in the market. She will also be able to tell you the active ingredients in each cream and how they react to the skin. Customer reviews: You should also look for reviews from customers who have previously used the numbing cream. Their comments will help you to judge how effective the numbing cream is. Availability of the numbing cream: Do not go for a numbing cream that is not available in the local shops and you have to go through a lot of trouble to get it. 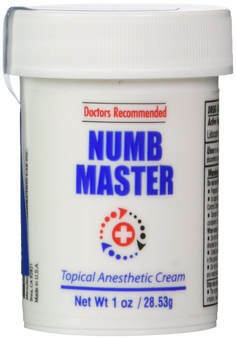 Get a numbing cream that will be found with ease. Side effects: You should also consider the side effects that result from the use of the numbing cream. You should ensure that it will also not lead to severe allergic reactions when it comes into contact with your skin. Cost of the numbing cream: You should consider the cost of the numbing cream before you think of buying it. Some numbing creams are too expensive and will be beyond the budget that you have set aside for the numbing cream. Your personal choice and preference should also be considered since you are the one who will be using the numbing cream. You should go for a cream that appeals the most to you despite the cost of buying it. You should also know how long the numbing cream will remain effective; this is to ensure that you will not buy a numbing cream that will only remain active for a few minutes and you will start feeling the pain.